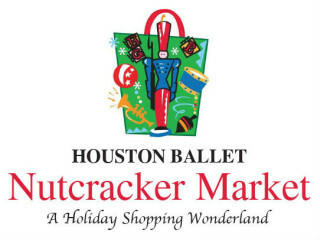 The 2015 Houston Ballet Nutcracker Market: Putting on the Ritz will feature almost 300 merchants from across the country selling unique gift items, including home décor, gourmet food, clothing, toys, candles, jewelry, novelties, accessories and more. Houston Ballet Nutcracker Market, now in its 35th year, has grown to become the second-largest charity event at NRG Park. Market-goers will discover new items from local Houston businesses, including custom phone cases and museum-quality handcrafted jewelry, plus handmade and versatile shoes from South Carolina, chic furniture designs from Louisiana, kid’s foam bow and arrow sets from Kansas and barrel-aged pure maple syrup from Indiana. Shoppers can also expect to see familiar favorites return, with food from Texas Tamale Co. and Donne Di Domani, decorative accessories and gifts from Paul Michael Co., ornamental metal accessories from The Round Top Collection, and Christmas wreaths and decorations from Clutter Yule Love. Ten percent of all merchandise sales, plus the proceeds from admission and special event tickets, will support the various programs of Houston Ballet and its Academy.